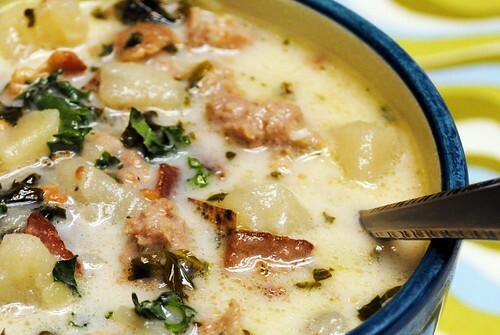 A friend posted a recipe for Zuppa Toscana on Facebook, so I’m reposting it here, lest I forget. Zuppa Toscana is my favorite soup at Olive Garden and I order it nearly every time I dine there. Yum! 3. Place sausage, chicken broth, garlic, potatoes and onion in slow cooker. Add just enough water to cover the vegetables and meat. 6. Add cream, kale, and bacon to the crock pot, stir. 8. Add salt, pepper, and cayenne to taste.